These new designs draw heavily from FL Wrights' designs, especially some of his Mayan style work. The furniture has that typical Wright boxy but angular look his best furniture often had. Introducing more colouring gives a new look to the pieces. There is also an Art Deco feel to some of these pieces as well. The 2 cabinets above show a typical rectangular cabinet & one with splayed sides, for a more striking profile. The bookcase is another use of the cabinet. 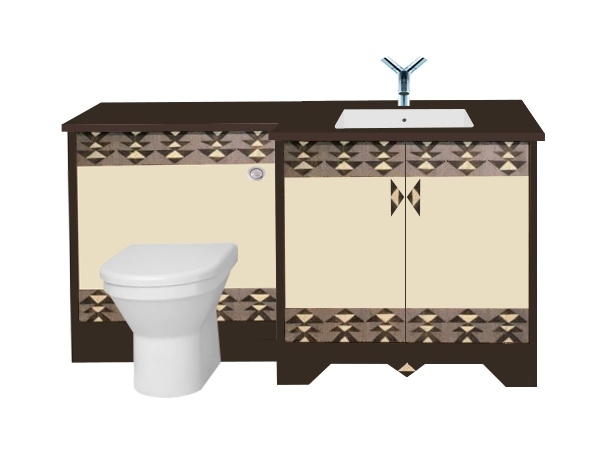 The built-in bathroom furniture shows the range you can put these designs to. If you click on these links they'll show you more design & colour options for these pieces. The furniture has painted / lacquered doors in a walnut or wenge carcase, but this could be any wood or painted finish. 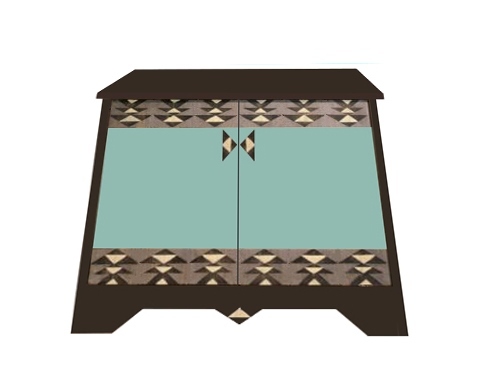 The door handles were custom made as triangles, painted to match the front patterns. The plinth shape works particularly well. 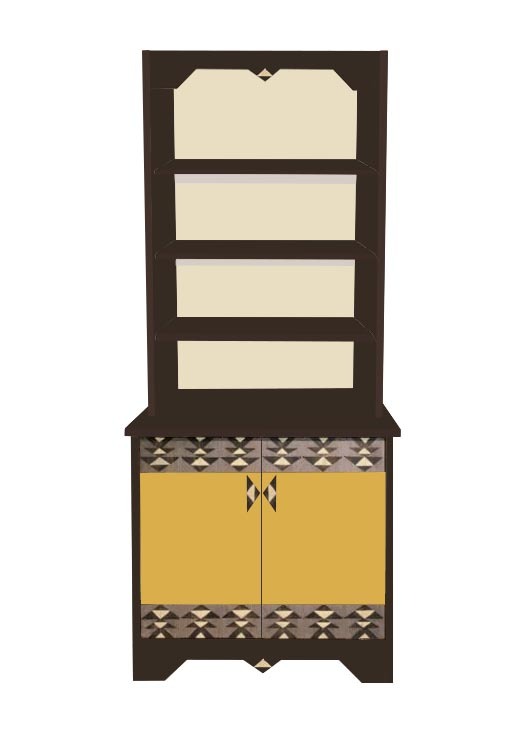 The cabinet could be free standing or built-in, as shown below. 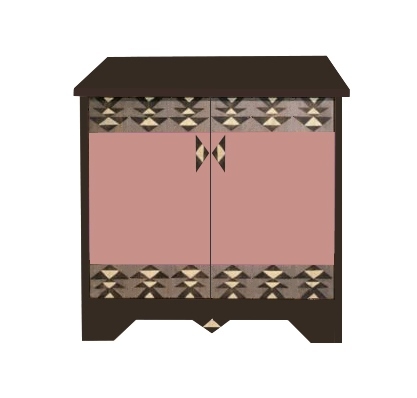 Shown below are some more examples of this piece in various gorgeous Deco colours. Bespoke furniture can be tailored to your exact needs, in terms of proportions, shape, colours, sizes, worktop etc.. You can play around with the design of such pieces endlessly, from proportions to plinth colour. As made to order we don't give out sizes until we've agreed a spec with a customer.